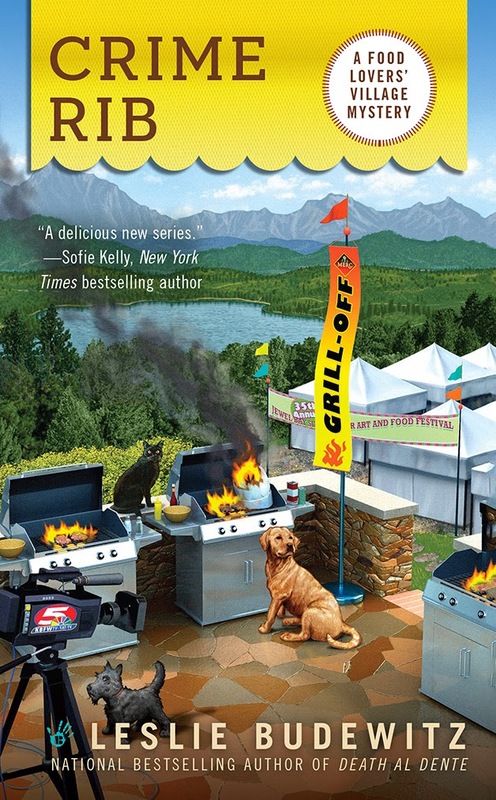 Killer Characters: Oh, the thanks you can thank! Oh, the thanks you can thank! ERIN: What am I grateful for? Being back in Montana with my family and friends. That the shop is doing so well, truly becoming the heart of the community, as it was when the first Murphy sold the first potato in Jewel Bay. And well, I’m thankful for the persistence of a certain guy! PEPPER: First, where would I be without my friends? Second, who’d have ever imagined that my purpose in life would turn out to be bay leaves? So I’m thankful for the opportunities to turn crisis—make that crises—into crazy joy! And third, I’m grateful to be part of the amazing, maddening, marvelous, magical world that is Seattle’s Pike Place Market! LESLIE: Me? I’m grateful to have found the thing I love to do: write. My family and friends—especially my hunny, Mr. Right, my mother Alice, and my BFF Lita—have supported me every step of the way. And from the bottom of that deep dish chocolate pecan pie, I thank each of YOU, for helping make my dream of writing and sharing my stories a reality. Readers, care to share your short list? 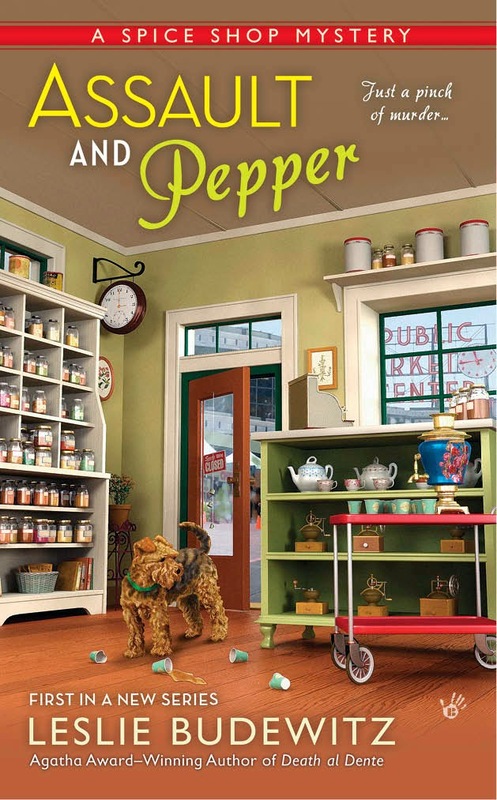 Assault & Pepper, first in the Seattle Spice Shop Mysteries by Leslie Budewitz, will debut in March 2015 from Berkley Prime Crime. 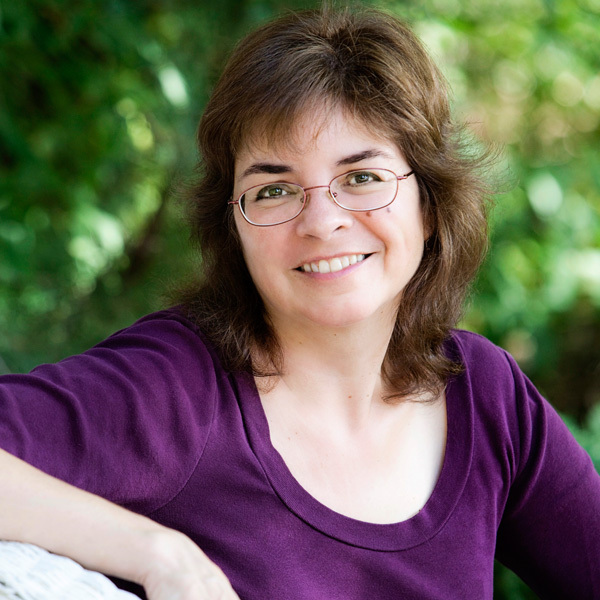 Leslie is the national best-selling author of Death al Dente, first in the Food Lovers' Village Mysteries set in northwest Montana, and winner of the 2013 Agatha Award for Best First Novel, followed by Crime Rib (July 2014). I am thankful for my wonderful husband, my two daughters and their husbands, my 92 yr old Mother and 88 yr old Aunt who still enjoy a good life and our two cats, Sammy and Cosmo, who have gotten me up at 4 am to feed them! They probably thought you needed to get up that early to start cooking Thanksgiving dinner! I am grateful that no one else has died in the last few months, I managed to keep a roof over my head against all odds and that my illness that has kept me housebound for 4 months is no worse then it is. I am grateful that this horrible year is almost over and for the little bit of food I have to eat every month. I am grateful to all the cozy authors for giving me the ability to escape with laughter and intrigue every day especially when things get really bad. I adore you all and your books. Anonymous, our hearts go out to you. Knowing we've helped make the dark times a little brighter means more than even we can express.